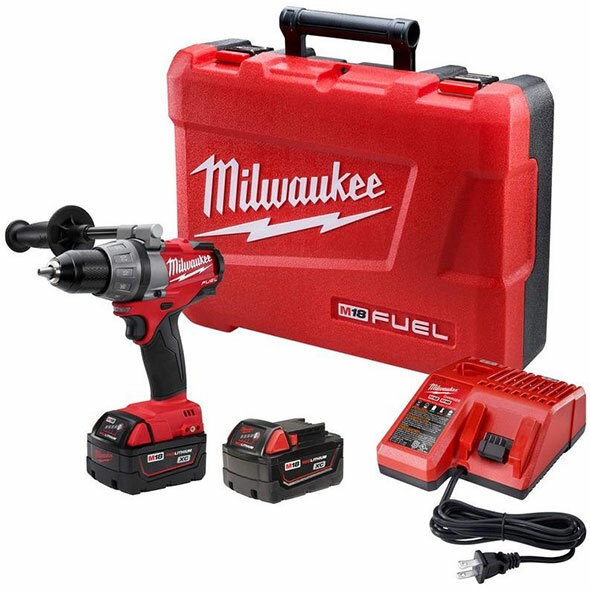 CPOMilwaukee is an online retailer of power tools and accessories, with a wide array of cordless drills, hammer drills, drivers, wrenches, saws, sanders, polishers, cable cutters, nibblers, shears, heat guns and other specialty tools. These factory serviced tools come at a great price providing value to the do-it-yourself customers and the professionals. You can save up to 50% on select heated jackets and hoodies. There are free gifts to be had with select purchases. You can avail up to 20% off select power tools and a lot more savings on cordless tools as well. Free economy shipping is available on all orders above $199. When making purchases or using services online you'd be surprised how many special offers and discounts are available. At Coupofy Coupons we collect them all in one place so you don't have to spend hours searching the web! 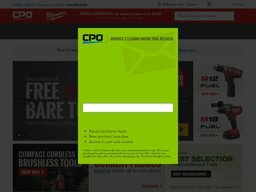 Our cpo milwaukee coupon codes can be redeemed today, simply click one you want to use and you will be taken directly to the website where you can apply the code during checkout. Credit Cards and PayPal Express Checkout. PayPal (PayPal is only available as a payment option for online orders only). As far as shipping is concerned, CPOMilwaukee employs UPS for delivery to all the locations. Economy shipping is done through United States Postal service through the UPS Sure Post. Different options include standard, Priority, Premium and Express, which may be charged accordingly and there is no exact determination of the delivery date. Freight delivery option is available for heavy items and requires scheduled delivery time. The item will be delivered to your residence, through a truck. You also have the option to lift gate the freight delivery, given that you don’t have a fork lift for heavy item. Shipments to FPO/APOs , P.O. boxes and US territories is not available at the moment. CPO offers a 30 day and 60 day return policy on new items and reconditioned items. The return package should come along with an RMA number that should be asked for, through the customer care. All the packages should have the boxes and the crates, failing which; an extra charge will have to be paid from your end. All the items shipped from the factory attract a restocking fee of 25%, since they are delivered by the maker and not through CPO’s warehouse.